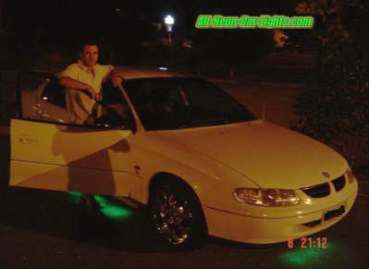 All-Neon-Car-lights.com was built on a foundation of quality and performance. 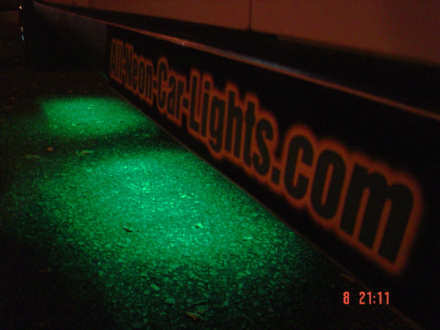 We have worked extensively to earn our reputation of having the Highest Quality Neon & LED car lighting products at the most competitive prices. 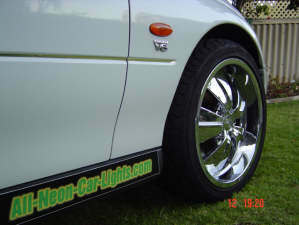 The website, All-neon-car-lights.com, has become extremely popular over the last year, receiving Hundreds of visitors every day from 100+ countries world wide - and climbing. Why do so many people visit our site you might ask? Well because people have come to know and trust our range of quality car lighting accessories - and not to mention our 110% Quality Customer Service. voice message, so it's good doing business with you. Thank You so much for you speedy reply. I can't forget to mention the remarkable help and commitment I have received from our dedicated team of Market & Product Researchers Ken Evoy of Sitesell.com (developer of 23 different product Patient inventions) Tony Robinson of Western Australia (market researcher,copywriter, college university teacher), David Walton Australia (Product Analyst & testing), Sparky from Plasmaglow America (product supply), and numerous other kind souls around the globe that are responsible for helping to get this project off the ground. It has been astounding!! Thankyou. All of the Neon & LED car lighting products on this website are shipped from Plasmaglow in Arizona USA. They can be used to highlight Any car, truck, boat or motorcycle with absolute brilliance, and are each branded with a "Life Time Warranty" Seal of Approval. We were fortunate to have the opportunity of teaming up with this well known, reliable company, and its all thanks to the Drop Ship Source Directory for providing us with their *Outstanding* services. And lets not forget, we'll show you how to install all your lights too. I get a lot of questions regarding this site and why I give away so much information for free in regards to neon car lights. Ever since I discovered why I was not having much success with installing my own lights that look and worked effectively, I said I would build a website to educate others on how to do this, and at the same time sell some products. I used a web host to build the site called Solo Build It. It's not your ordinary host where you pay your money and they leave you on your own scratching your head wondering to do next. Solo Build It takes the fear out of the unknown by providing a 10 day action guide, design templates (no web developing experience necessary), search engine ranking help and more importantly it even shows you how to make a little cash with your site. As of September 2003, when we launched this site, we now receive between 300 & 600 unique visitors per day from the free search engines, earning us approximately $500 - $1000 per month just by placing Google advertisements on various pages, and that does not include the many sales we receive. So even though we give away all this info for free, the reward comes back to us with the Google ads at the very least. You probably found this site by using a search engine. Well that's what SBI helps me with. It showed me how to build pages that rank high in the major engines so I can get as much free traffic (advertising) as possible. And as for the money, Google has a program called Adsense, and it allows you to help them advertise by placing text ads on your pages. You may have seen them while browsing this site. I'm not the only SBI success story out here. There are thousands of other information sites like mine that are doing exceptionally well....even better than me. "See the Video Tour for yourself." I wouldn't recommend it if I didn't use it myself. My advice is to do what I did and pick a topic that you have a personal interest in. Do you have the solution to a problem that can help people? Acne? Make-up? Gardening? About your Trade? Dating? Building Engines? Raring Animals? Sports? etc. The topic can be anything. Just make sure you are passionate enough about it to build a useful, informative site - otherwise you'd get bored and abandon it very quickly. Problem-solving sites where you can show people how to do something, like this one, make the best kinds of sites because people often bookmark them and tell others about it. You can't beat the good old "word-of-mouth" advertising. They also help you gain credibility because people know you have personally experienced the things you talk about on your site. Go ahead and give SBI a try. It's completely risk free. SiteSell will give you a FULL refund if it's not for you, and there's no "trial period" or any sneaky catches. They guided me through the steps of setting up All-neon-car-lights.com the Correct Way using "Solo Build It", and it was "World Wide Brands" (The Wholesale DropShip Source Directory) that gave me the inspiration to begin this *Great* Neon car light adventure.